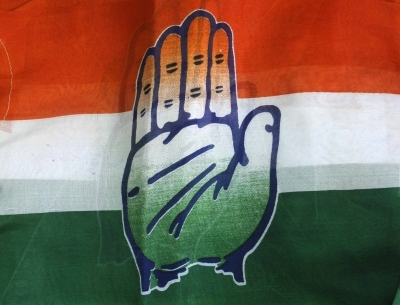 New Delhi, Oct 24 (IANS) Accusing the government of waging a war against the SC/ST communities, the Congress on Tuesday demanded immediate release of their scholarship arrears and increased scholarship allocations, among other things. The Congress said the National Democratic Alliance government’s “assiduous attack on post-matric scholarship for Dalits and Adivasis is a dastardly attack on promises made in the Constitution of India”. “The NDA government is waging a war against scheduled castes and scheduled tribes, which are fighting for a better future, by placing hurdles in the path of these communities’ students quest for education. “After taking office (in May 2014), this government has drastically slashed funding for University Grants Commission (UGC) by 55 per cent (from Rs 9,315 crore in 2015-16 to Rs 4,286 crore in 2016-17),” K. Raju, Chairman of the SC Department of the Congress, said in a statement. Raju said: The UGC has thus been forced to drastically slash allocations to universities and for students’ welfare. Through this myopic policy, the NDA government has made higher education and research inaccessible to students. The Congress leader said the Centre has also slashed funding for research centres across the country that pursue research on Dalits, B.R. Ambedkar’s philosophy and social justice. “It is surprising that a party desperate to position itself as pro-Dalit/Adivasi party is repeatedly doing everything in its power to disempower SCs/STs. Young and promising SC/ST scholars are being subjected to unnecessary tribulations and pressures to access what is rightfully theirs,” Raju said.